Laser Genesis uses non-invasive laser technology to treat fine lines, large pores, uneven skin texture, and reduce the appearance of redness and scars. Laser Genesis works by heating the layers (dermis layer) beneath the skin’s surface which stimulates collagen production. The treatment is quick, and some patients even describe it as being therapeutic and relaxing. Unlike most laser treatments, there is no numbing cream necessary, and there is no down time after the treatment. Patients report slight redness that disappears within a few hours following treatment. 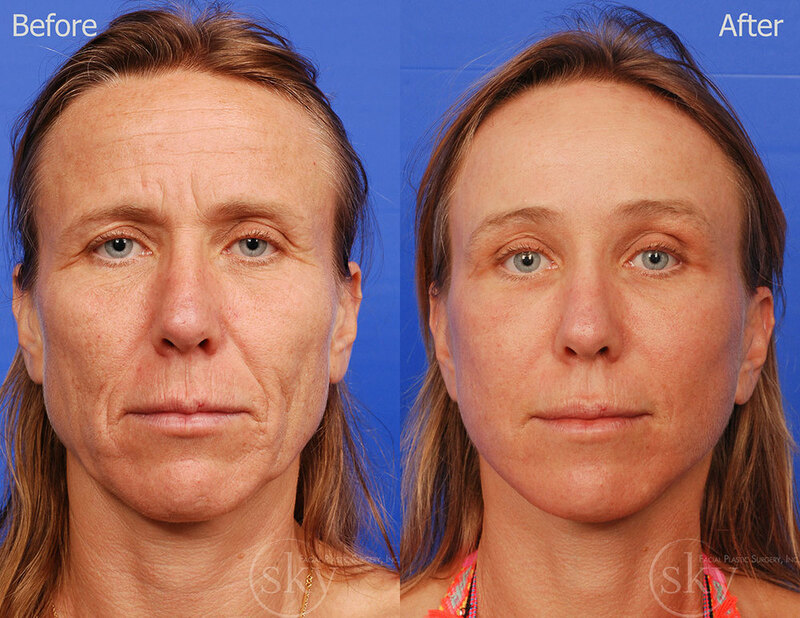 Optimal results requires at least six treatments spaced two weeks apart. Results appear gradually over time. 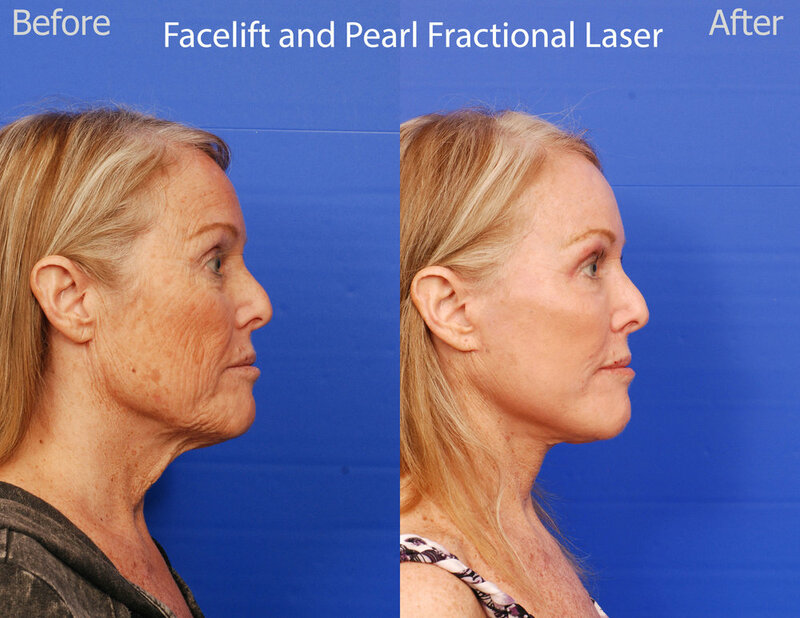 Laser Genesis treatments are provided by our experienced laser practitioner, a licensed registered nurse. A series of six (6) treatments - one every two weeks - is currently $1,650. Prices subject to change. Our xeo laser is an excellent option for permanently removing unwanted facial hairs. Common areas of treatment include the chin, upper lip, and eyebrow area. This laser is FDA-cleared for treatment of all skin types. The Nd:YAG 1064nm wavelength selectively targets the hair follicle, where the heat damages the hair structure. In the month leading up to your treatment, it's important not to pluck the areas to be treated. The hair needs to be present in order to be treated. Shaving is okay, just no plucking or tweezing. Hair must be brown or black. Laser light is not absorbed by white, gray, red or light-blond hair. Because of the hair growth life cycle, a series of treatments is needed to maximize hair reduction. You will still see hairs if you do not do the required series. Patients usually need anywhere from 6-8 treatments spaced 6-12 weeks apart. Laser hair removal treatments are provided by our experienced laser practitioner, a licensed registered nurse. Pricing varies depending on the size of the area. The single treatment of a small area is currently $150. A series of four treatments is currently $500. Laser vein therapy effectively treats small facial veins and leg veins. Treatment is directed at vessels smaller than 3mm in diameter. This treatment is quick, and safe for any skin type. It uses light energy to coagulate the blood within the vein, and eventually destroys the vessel. The body will reabsorb the blood and direct the blood flow to veins deeper underneath the skin’s surface. During the treatment, patients may experience a stinging sensation from the laser. Following the treatment, some redness, bruising, or swelling may occur, however, these effects typically last less than 24 hours. It is important that you avoid strenuous activity 24 hours after treatment, use sunscreen on the treated area if exposed to sun, and limit any sun exposure. The number of treatments will depend on the number, color, and size of the vessels being treated. Laser vein therapy is provided by our experienced laser practitioner, a licensed registered nurse. Treatment prices are based on length of time. The current pricing is $250 for every 15 minute block. 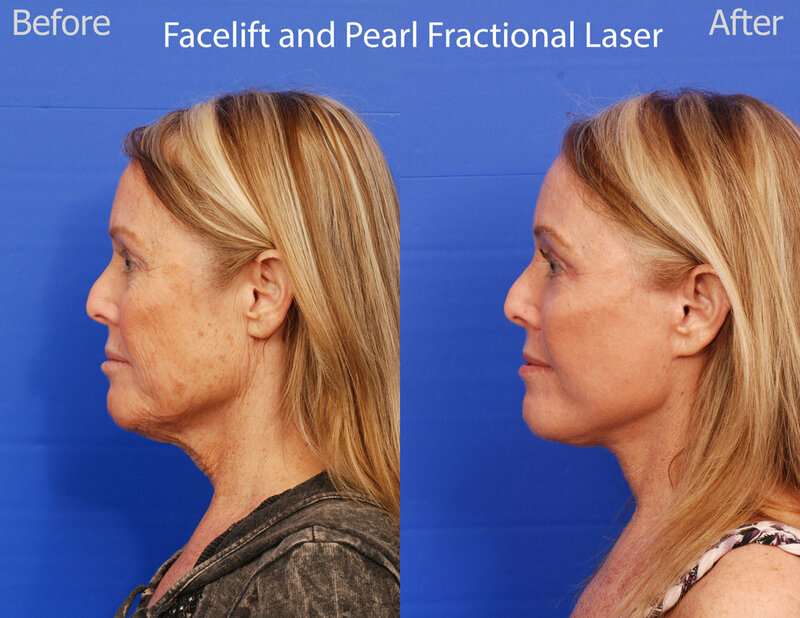 Pearl Fractional is a fractional laser designed to give patients maximum single-treatment results with minimal downtime. This laser deeply penetrates the skin to improve the appearance of fine lines, wrinkles, altered texture, discoloration, and hyperpigmentation. With each pulse of the laser, tiny holes are created in the skin and damaged tissue is selectively removed, leaving the surrounding skin intact. Once the treatment is over, the body’s own natural process creates new collagen, which assists in improving the overall appearance of the skin. It is used to treat the entire face, and is even effective in treating areas that are the most challenging to treat, such as around the eyes and around the mouth, which typically show the first signs of aging. Ideal candidates for this laser will have light-to-medium skin tones and skin imperfections due to aging, acne, and sun damage. Before the treatment, numbing cream is applied to the skin to reduce any discomfort the patient may have. The treatment is described by patients as a series of fast, hot pinches. Following the treatment, the skin looks sunburned and may even be a little swollen, so it is extremely important to limit sun exposure and stop retinol products after the treatment. Also, patients must avoid wearing make-up for five days after treatment. Patients will start to see improvement one week after treatment, while maximum results may take one to three months. All Pearl Fractional treatments are done personally by Dr. Yoo and is often combined with other procedures for optimal results. Please schedule a consultation with Dr. Yoo to receive an estimate. 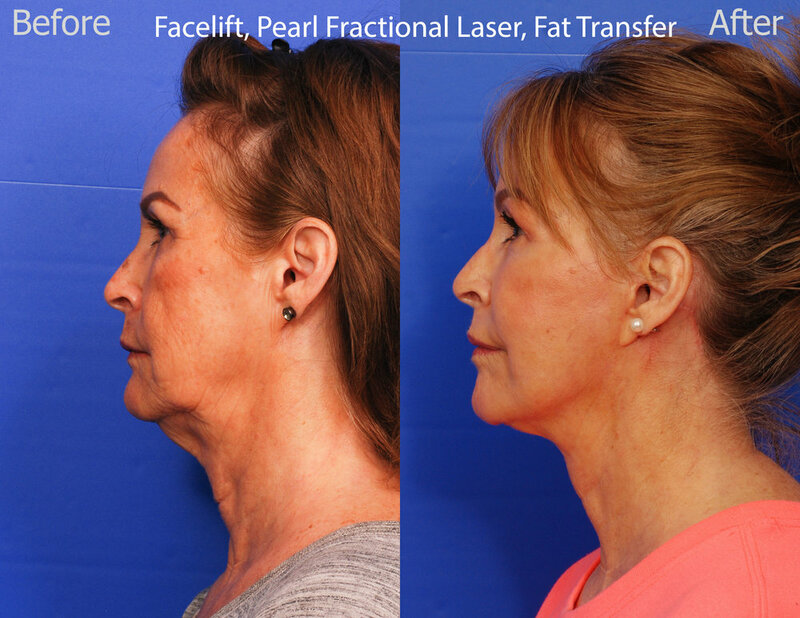 We are the only ones in the area offering the newest laser technology that actually tightens the skin along your jawline by stimulating the deepest layers of your skin to produce more collagen. 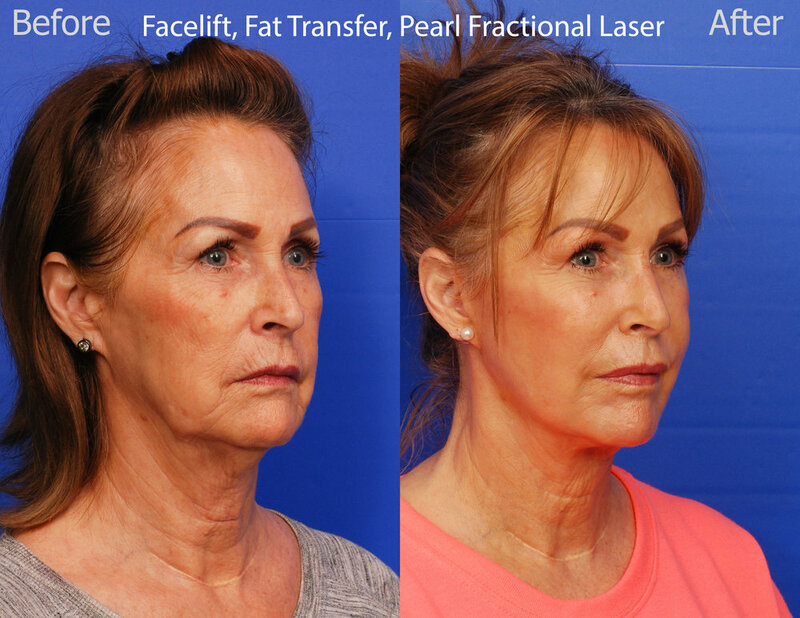 Known as the "laser lift" or "laser facelift," this revolutionary laser technology for the first time offers patients a non-surgical option to the traditional facelift. 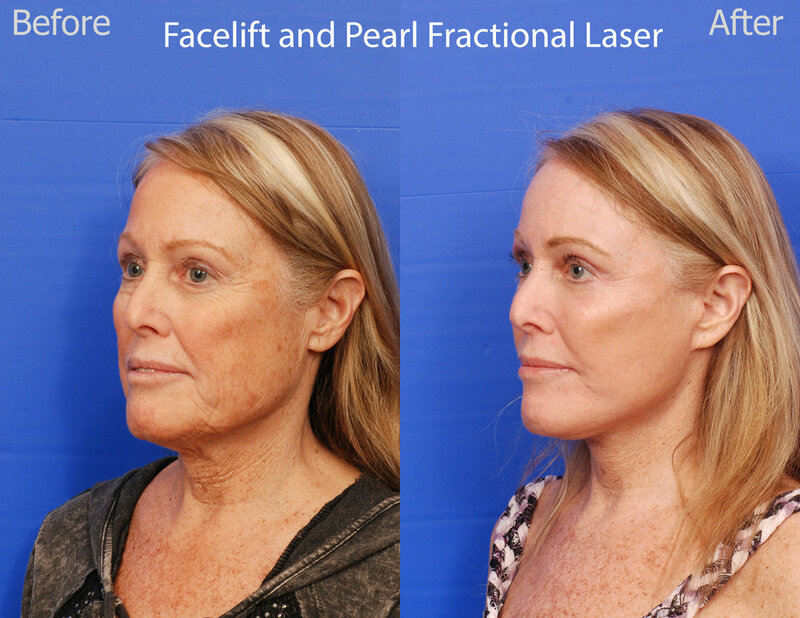 Learn more about the laser lift.